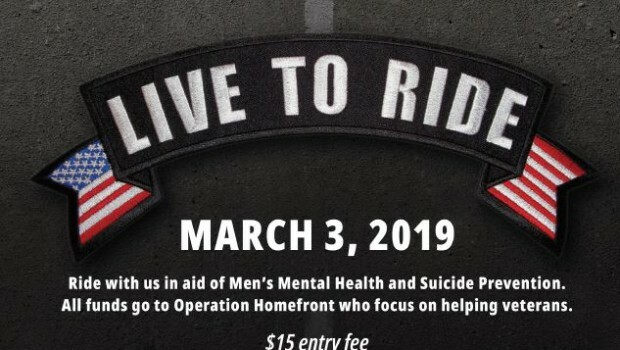 Ride with us in aid of Men's Mental Health and Suicide Prevention. All funds go to Operation Homefront who focus on helping Veterans. This is a open dealership and charity sponsored ride, not a HOG Chapter Ride. Update: We welcome & encourage everyone to ride with a picture of anyone they might know that has tragically taken their own life on their windscreen. Plus, we’ll have a board at the end where the pictures can be pinned-up in their memory.